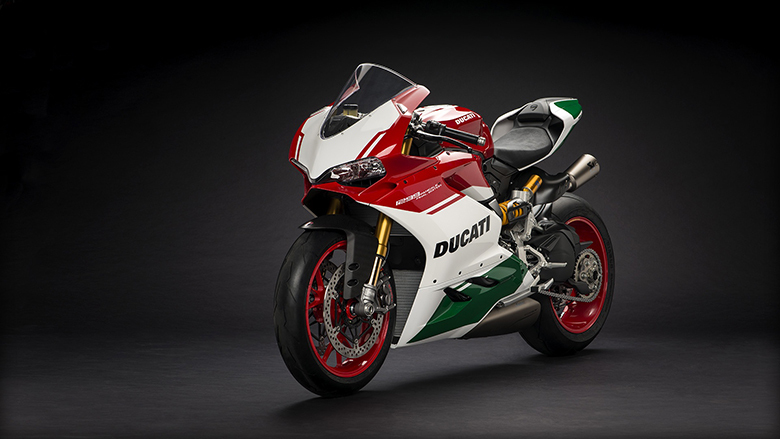 This year is the celebration of the twin-cylinder Ducati Superbike legacy. 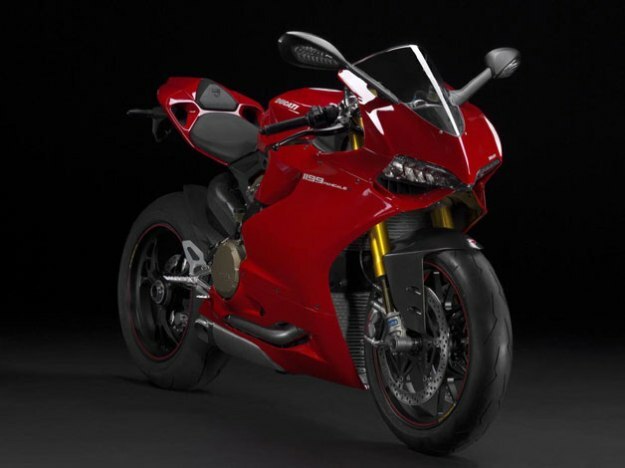 They have launched the new Ducati 2017 1299 Panigale R Final Edition SuperSport Bike features the most advanced aluminum monocoque chassis with the most powerful Superquadro engine. This sports bike features the strongest and powerful engine providing the strong acceleration and massive torque in all situation. Those riders who want to take their thrill and speed up to another level must try the all-new Ducati 2017 1299 Panigale R Final Edition SuperSport Bike. Its review with specification and pictures are written below. The all-new Ducati 2017 1299 Panigale R Final Edition SuperSport Bike features an excellent bore to stroke ratio of 1.91:1. The short-stroke crankshaft with the passive piston is combined with the large Desmodromic-actuated valve enables the Superquadro to breathe freely at high rpm. This is the 1285cc combustion chamber L-twin engine guaranteeing an ample torque and best acceleration. This engine uses the larger intake valves fed by an advanced oval-section throttle body with different height inlet ducts for its front and rear cylinder. It allows the high air flow for better power and excellent output. The throttle bodies that can be independently controlled by the fully Ride-by-Wire system, is fitted with the 2 fuel injectors. The first is set below the body and it operates in lower rpm conditions. The second is mounted above the throttle body and is normally used when the rider wants full power and torque. This engine provides the maximum power of 209 horsepower at 11,000 rpm while the maximum torque of 142 Nm at 9000 rpm. The engine is fully street legal with the Euro 4 homologation. It features the light crankshaft with the tungsten counterweights and the large crank pin comes as standard. The all-new valves and conrods are made with the lightweight titanium, the cylinder liners are steel and feature the 2 segments piston of having the diameter of 116 mm. This bike features the centrifugal decompressor at the end of exhaust camshaft of each cylinder head. This device enables the profile of cam opening lobe to be modified on starting. Once the engine starts, the increase in the rpm and associated centrifugal force modify the decompressor and cancel the valve lift effect to bring this engine back to an operating condition. This system contributes significantly to the extreme light weight of overall engine and bike by reducing the compression effect of the piston. The main bearings are being lubricated by the pressurized oil admitted through the ducts inside the engine block. It ensures an efficient lubrication of crankshaft, followed by the rapid recovery of oil thanks to the lobe pump, which places the connecting rod compartment under vacuum. This new pump is driven by gears built in the special high-strength techno-polymer plus it maintains the crankcase area below the piston. 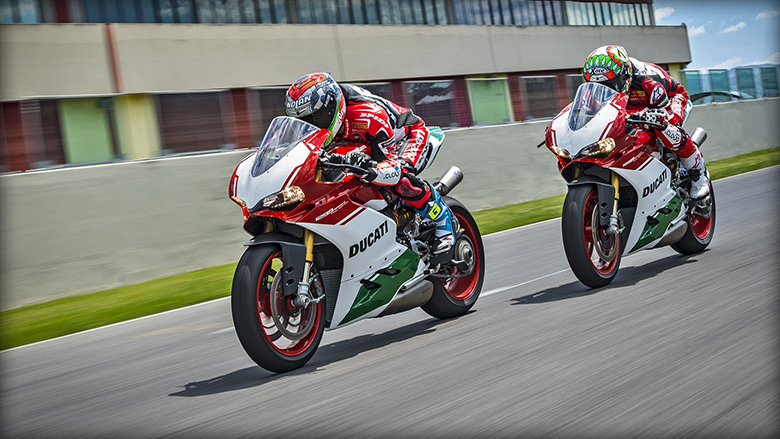 The opening and closing of throttle bodies in Ducati 2017 1299 Panigale R Final Edition SuperSport Bike are controlled by the fully electronic Ride-by-Wire system. There is no mechanical connection between the twist grip and the throttle bodies allowing the engine ECU to directly adjust the throttle. This system enables to have different power delivery based on the selected riding modes. The mixed gear and chain drive system are being used to control the large valves with an efficient Desmodromic system. This chain drive precisely transmits the motion between the new crankshaft and camshaft. An automatic tensioning adjustment provides an excellent reliability with the low routine maintenance costs. This sports bike features the six-speed gearbox providing the best gear shifting ratios. The oil bath clutch is has a similar design as used in many other Ducati bikes. It provides an excellent module-ability while using the sport riding conditions. The all-new crankcase uses the new vacuum casting technology called Vacural ensure the high strength at low weight along with the uniform wall thickness. The engine features the wet barrels coated in Nicasil, which are inserted into the holes of engine block’s housing during initial stages of assembly. The clutch and cylinder head covers and oil pans are all cast in the golden color magnesium allow to ensure the greater engine’s strength with an absolute lowest possible weight. The all-new Ducati 2017 1299 Panigale R Final Edition SuperSport Bike features the Brembo’s M50 Monoblock calipers. This braking system has a single alloy block offering an ultimate rigidity and deformation resistance during extreme braking. This sports bike features an ergonomically perfect design receiving the minimum air drag. The position of seat and handlebars are optimized to give the best control and comfort during the ride. The switch gear and dashboard are carefully designed to provide an ultimate comfort and performance during a ride. The all-new grippy aluminum footpegs and the carefully designed seat with the racing cover enable the riders to have a fun ride. This sports bike features the Pirelli’s Diablo Supercorsa SP tires providing an ultimate performance. The front tire of 120/70 ZR17 while the rear tire of 200/55 x ZR17 provides the best contact with the ground. These tires have the special pattern to maximize the area of contact and corner speed. The especially advanced polymers provide the constant grip in all conditions. This motorcycle features the red colored Marchesini tri-Y spoke forged aluminum wheels for lightweight and racing look. The new Ohlins suspension features the NIX30 fork, TTS36 shock and the steering damper, all of them are manually adjustable. This suspension system ensures the best damping level and vehicle control. The monocoque chassis forms the best structural backbone, which is compact, rigid, lightweight and multi-functional. It is made of cast aluminum and is attached at its rear directly to the heads of the engine. It contains the steering head and bearing of its front. It is very light in weight featuring an amazing graphics and attractive design. 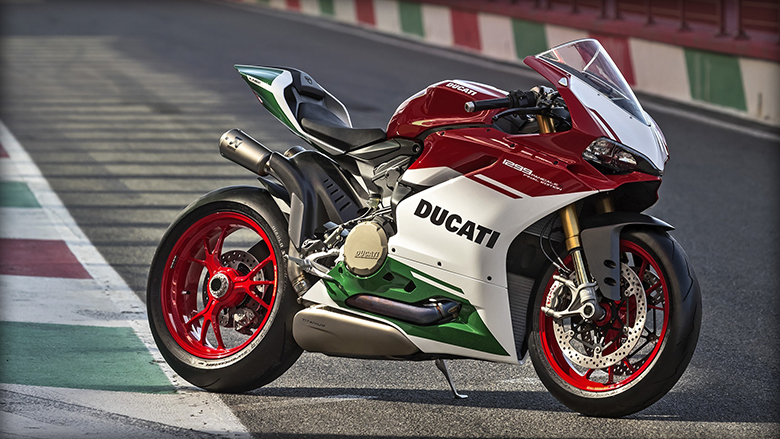 The all-new Ducati 2017 1299 Panigale R Final Edition SuperSport Bike comes with the latest and advanced equipment as compared to the older 2013 Ducati 1199 Panigale R. These equipment makes this bike incredible to ride. The standard accessories include the racing windshield, billet aluminum mirror block-off plugs, a license plate, holder plug and much more. It features an optimized geometry which uses the steering head angle of 24 degrees with the low swingarm pivot point. This geometry enhances the agility and offers an excellent rear traction. There are different riding mode in Ducati 2017 1299 Panigale R Final Edition SuperSport Bike, which enables the rider to have full control over it. These riding modes alter the engine power delivery, traction control, wheelie control, ABS engine braking, and suspension. There is three pre-set configuration available i.e. Race, Sport, and Wet. The rider can easily choose between these modes by using the button attached to its handlebars. The latest generation Bosch 9.1 MP ABS comes as standard, which performs combined braking with control rear wheel lift to ensure the shortest braking distance and greater stability in all conditions. The new instrument panel is being used in it featuring the full TFT display. The color display’s configuration is variable and it automatically adopts to variation in environmental light to the selected Riding Mode. In the Road and Wet Riding Modes, the speed is being displayed in larger numbers in the middle of a display while the two boxes providing the supplementary information about the total mileage and engine coolant temperature. In the Race Riding Mode, the layout of a display is automatically reconfigured. In this mode, the speed is being displayed in the lower information box at left providing enough space for last lap time in center. For the first time, Ducati has used the display feature of lean angle visualization, which enables the riders to see their achieved lean angle displayed. The Ducati Quick Shift up/down (DQS) is entirely race-derived electronic system, which allows the clutch-less shifting of the gearbox in both up and down direction. There are handlebar-mounted auxiliary control buttons allowing the rider to choose the desired settings. The all-new Ducati 2017 1299 Panigale R Final Edition SuperSport Bike uses the lightest and latest Lithium-ion battery technology allowing it to save 2 kg weight as compared to the standard battery. The new homologated Akrapovic titanium exhaust combines with the new twin titanium silencers and titanium exhaust manifolds provide the best performance. It enables the engine maximum breathing and maximum power while ensuring significant weight saving. 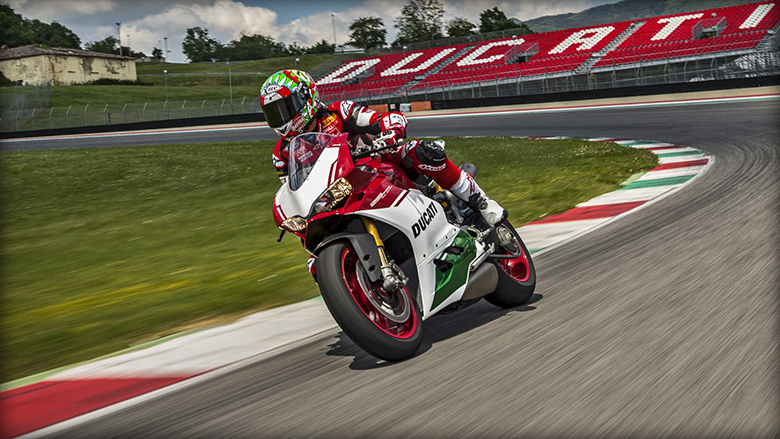 The new DDA+ GPS (Ducati Data Analyzer) comes as standard provides the best performance. The GPS signals provide visualization of the circuit map. Several components of this motorcycle are made of high-quality carbon fiber, front and rear mudguards, heel guards and shock covers. The use of light and stiff carbon fiber saves weights and provides great rigidity. The all-new ECS (Engine Braking Control) works in combination with the slipper clutch to prevent and manage the locking of rear wheel during downshifting. 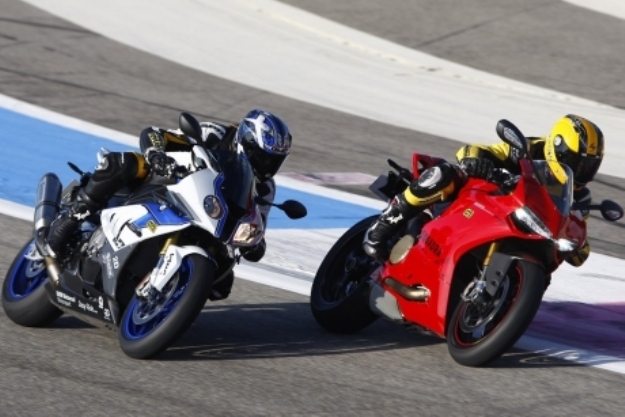 There are three different levels of engine braking and rider can easily choose between them. The (DWC EVO) Ducati Wheelie Control EVO uses information form Bosch IMU to control the front wheel lift and allow max acceleration in safety. It is the most advanced system and comes with eight different levels of intervention. The rider can easily choose the desired one. The Bosch Inertial platform is centered on an Inertial Measurement Unit (IMU). This unit monitors the lean angle to ensure the best performance at all times.